Little did I know that a message would be cast out to the vast network of Lifeboat members, and the next three months would be a flurry of back-and-forth emails, fascinating conversations, and writing new articles. For this I’m more than grateful, but more importantly, I’ve been able to glean something important from all these talks with Lifeboat members in so many fields. I decided that if I’m going to catch up with PhDs and future thinkers in dozen’s of fields, I need to keep at least one question the same for all of them, to glean and pool their interdisciplinary insights in a meaningful — if not interesting — way. The question I settled on was this: “What can we do as scientists, businesspeople, leaders and thinkers to move the world forward in a beneficial way — together — despite so many differing opinions and approaches from other well-intended people working towards the same purpose?” Ultimately, I saw this question as not only the most fruitful way to encourage some of the collaboration and mutual understanding that I happen to deem vital, but also to poke and prod for new ideas on this subject from the varied corners of the intellectual and scientific universes. So in this article I wanted to take a second and slow down from interviews, and for the first time write about the differing perspectives on this most important matter — all from “Lifeboat-ers” from around the world. First, I’ll explore some of the varied opinions and perspectives from individual Lifeboat members. Second, I’ll look at some of the few commonalities across my many interviews — and what we might glean from them. Third, I’ll give my own perspective on the matter of building a better future, and some insights from the journey of the last three months. Let it be known that I don’t dogmatically adhere to any of the opinions expressed, but I aim to be open-minded enough to consider and learn from each. My intention here is solely to share opinions in the kind of well-intended fashion that I hope will be productive for the purposes expressed. 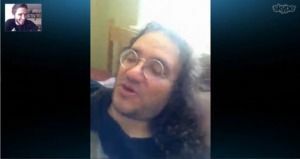 In the future, Goertzel predicts a complete surpassing of our present notions of science, the universe, cognition, and philosophy. Indeed, these are merely present constructs, and to Ben, the enhancement of intelligence and consciousness will shed new light on the material and metaphysical universe than our present human perspective is capable of shedding. In this way, what will make the future better might be an openness these these huge developments, and a willingness to escape any shell-like notions of our present human perspective and condition. I ran into Logan through some of his articles, and a general interest in his “human speakable programming language” project. In our conversation about the future of humanity and the varied approaches to moving forward, he mentioned that it might make sense to have “voluntary communities” of individuals who are interested in a certain “mode” of living, or a certain dynamic of progress in the human condition. For example, there might be a geographic location where people interested in brain and cognitive research go to explore these matters in a more concentrated and concerted fashion, and another region where people interested in recycling and reusing materials can live to further apply and research in that world. Logan’s potential vision would involve a kind of super-computer of a potential global state which aggregates the insights from these various research activities and makes it available to be used be any and all of the communities on or off of our planet. Logan goes so far as to say that there very well may be a segment of the population who would voluntarily create a community where pillaging and plundering are commonplace, and chaos rules — and that it may be best to not only allow these like-minded people to live that particular kind of life — but that like the rest of the “communities,” there is likely something to be learned and gleaned from what happens in this social experiment, as well. 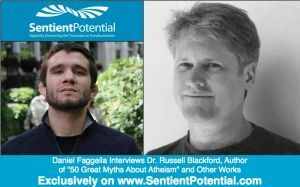 Dr. Russell Blackford is an active writer, editor, philosopher, and more, and is presently writing a book called “50 Great Myths About Atheism.” His perspective on the matter of overall human progress was that there should be — at least in our present age — a policy and decision-making process based around the traditional liberal values of preventing harm, or bringing about a secular benefit. An example of policy that seems to go against these standards includes many laws that involve stem cells, which Dr. Blackford believes to give credence to embryos which exists within a religious notion rather than empirical evidence about the “live” or lack-there-of of an embryo. In his full interview he goes into significant detail on policy-making with a non-secular agenda. Though he is wary of dogma, he sees these very values as keeping dogma at bay, and that there sanctity might help keep the conversations and progress of technology and humanity grounded in as much objectivity and rationality as possible. Though I was certainly able to drink in a good number of perspectives from my varied interviews, there were also enough common “themes” for me to take notice. Transparency is a second theme that appeared enough to mention here. One application of this idea is the easy transmission of knowledge across domains, countries, and languages. In another light, “transparency” implies knowing what the world is up to in order to make sure we’re keeping dangerous experiments and malicious intentions from causing serious harm. It sure is nice to know what the rest of the nanotech world is up to in terms of building off of their findings, but it’s also important to understand where the new dangers might have been found, or to stop a team of researchers working on something terribly destructive. A final commonality with the thinkers I spoke with (Blackford and Goertzel mentioned here, amongst many others) was the idea of open-mindedness and remaining unfettered by particular ideologies. With so much change underway, not only is it likely to be harder than ever to function under an ideology (say the experts I spoke with), but a particular ideology tends to impose it’s views on the past and future, limiting growth and the potential for important change. All in all, my experience with Lifeboat interviews has been a rewarding one, and has certainly helped me to round out my own conceptions of what a “better” future might be, and how we might go about moving towards one. I would add, if I could, that maintaining a united kind of collaboration with shared positive intentions would appear to be the ideal. The shame would be any kind of conflict with it’s origin in differing approaches to a better future (especially in speaking to so many well-intended and hard-working people from around the world in various fields). If we are truly after the same “end” (though putting a definition to that “end” seems awfully dangerous) of an aggregately better future, my truest hope is that we would be open to learning from one another, and wary of “enemizing” others so long as there is no danger or malice in their approach. Escaping our tendency to fossilize certain ideological beliefs, or to take other approaches in an open-minded and not personal fashion would seem to be a greater challenge (at least in our present human condition) than many of the technological hurdles we’re trying to jump at present. Indeed, would there be no greater shame than for this very enthusiasm for a “better future” (potentially wrought and tainted with the insidious forces of egotism, greed or glory) to be the force the prevents a “better future” from ever happening? 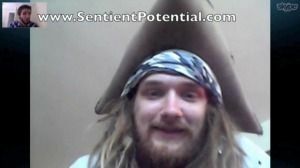 I’d like to thank all of the Lifeboat members who were kind enough to share their thoughts and catch up with me at Sentient Potential, including Aubrey de Grey, Ben Goertzel, Dr. Russell Blackford, amongst so many others. 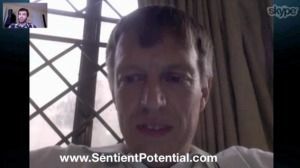 Daniel Faggella (Google + Profile) is a graduate of UPENN with a Master’s degree in Applied Positive Psychology, a national martial arts champion, and author of “Explorations into the Philosophy of Transhumanism.” Attached to no specific school of thought, his pursuit at www.SentientPotential.com is to pool the insight of the world’s scientists and future thinkers in a grander global conversation about the collaborative progress of humanity.